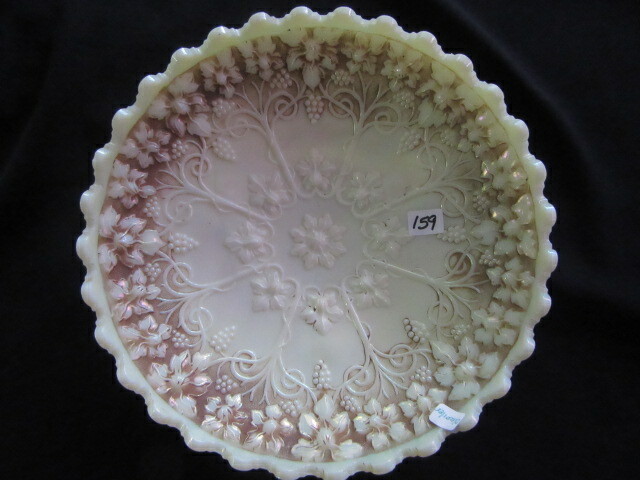 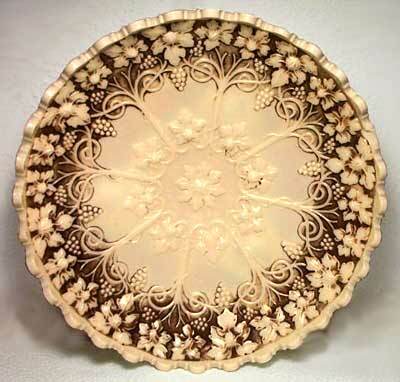 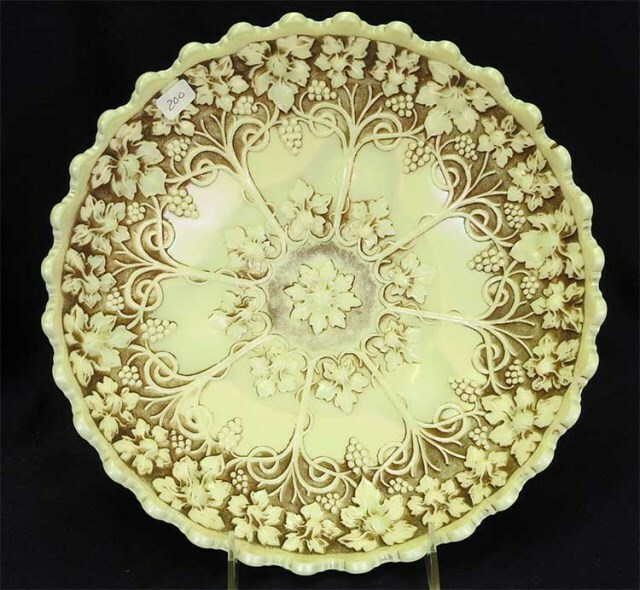 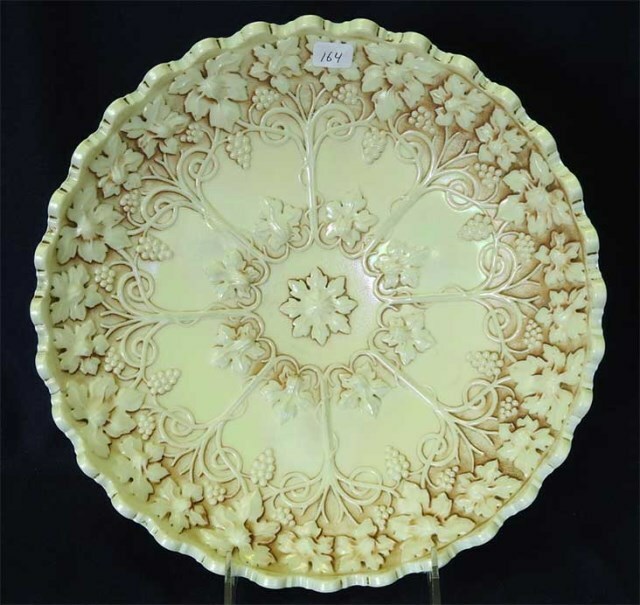 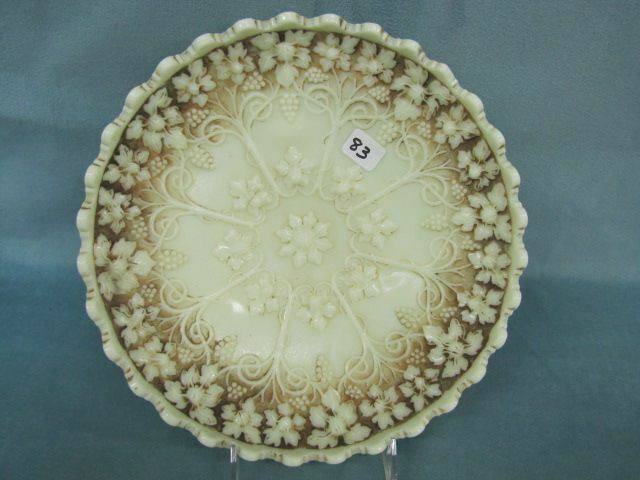 Grape Frieze is found in 10 to 10 1/2-inch ice cream shaped bowls. 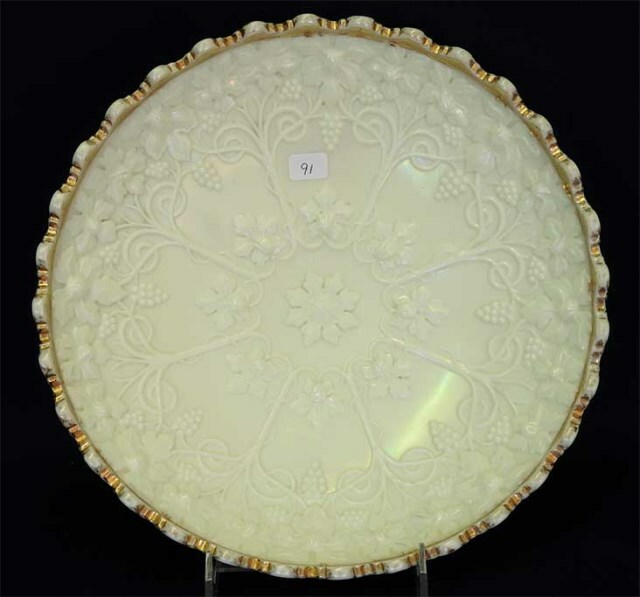 They have nutmeg stain and are iridized (or pearlized) custard glass. 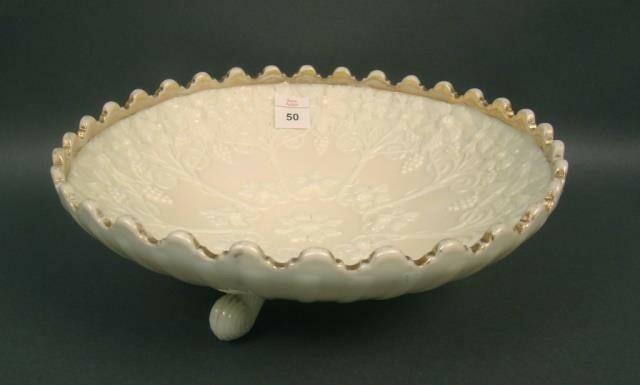 Not many known.